That’s according to my team’s study for United Nations University – Merit on gender inequality in scientific research in Mexico, published as a working paper in December 2016. The study, which looked at women’s status in 42 public universities and 18 public research centers, some managed by Mexico’s National Council of Science and Technology (CONACYT), focused on a question that has been widely investigated: why are women in science less productive than men, in almost all academic disciplines and regardless of the productivity measure used? Using an econometric modeling approach, including several macro simulations to understand the economic costs of gender gaps to the Mexican academic system, our study focused on researchers within Mexico’s National System of Researchers. Additionally, despite the common belief that maternity leaves make women less productive in key periods of their careers, female researchers in fact have only between 5 percent to 6 percent more non-productive years than males. At senior levels, the difference drops to 1 percent. Nonetheless, in the universities and research centers we studied, Mexican women face considerable barriers to success. At public research centers, women are 3 5percent less likely to be promoted, and 89 percent of senior ranks were filled by men in 2013, though women comprised 24 percent of research staff and 33 percent at non-senior levels. Public universities do slightly better (but not well): female researchers there are 22 percent less likely to be promoted than men. Overall, 89 percent of all female academics in our sample never reached senior levels in the period studied (2002 to 2013). In some ways this data should not be surprising. Mexico ranks 66th out of 144 in the World Economic Forum’s 2016 Global Gender Gap Report and a 2015 report by the Organization of Economic Co-operation and Development (OECD) showed that among OECD countries Mexico has the widest overall gender gap in labour participation rates. Several CONACYT research centers have launched initiatives to promote gender equality among staff, but many of these internal programs are limited to anti-discrimination and sexual harassment training. More aggressive programs include: the Research Centre on Social Anthopology’s graduate scholarship program, in collaboration with CONACYT and the National Commission for the Development of Indigenous Peoples, to promote higher education and training among indigenous women; and policies to increase women’s participation in higher academic ranks and management at the CIATEQ technological institute, which also gives childcare subsidies to female staff. This persistent inequality has implications not just for women but for the country’s scientific production: if Mexico were to eliminate gender inequality in promotions, the national academic system would see 17 percent to 20 percent more peer-reviewed articles published. Examining French physicists working in the Centre National de la Recherche Scientifique (CNRS) and in French public universities, we learned that female physicists in CNRS are as productive as their male colleagues or more so. Yet they are 6.3 percent less likely to be promoted within CNRS and 16.3 percent within universities. This is notable in a country that ranks 17th in the world in gender equality, according to the World Economic Forum. In South Africa, race plays an important role in explaining gender inequalities in science. Examining the career paths of researchers from 2002 to 2011, we observed that there are not large differences in the promotion patterns of white researchers by gender: 60.1 percent of white men were not promoted (even in cases where they applied for promotion), compared to 60.6 percent of women in the same period. But the gap widens dramatically when you account for ethnicity: 70.4 percent of non-white men and 69.2 percent of non-white women are not promoted. In Uruguay the same IDB gender gaps project identified a glass ceiling as well. There women are underrepresented in the highest academic ranks and have a 7.1 percent less probability than men of being promoted to senior levels. This two-way causality creates a source of endogeneity biases when including seniority as a variable to explain productivity in an econometric model. Only when we control for this, as well as for a selectivity bias (that is, publishing occurrence), do we find that female researchers are more productive than their male counterparts. Without these corrections, a gender productivity gap of 10 percent to 21 percent appears in favor of men. 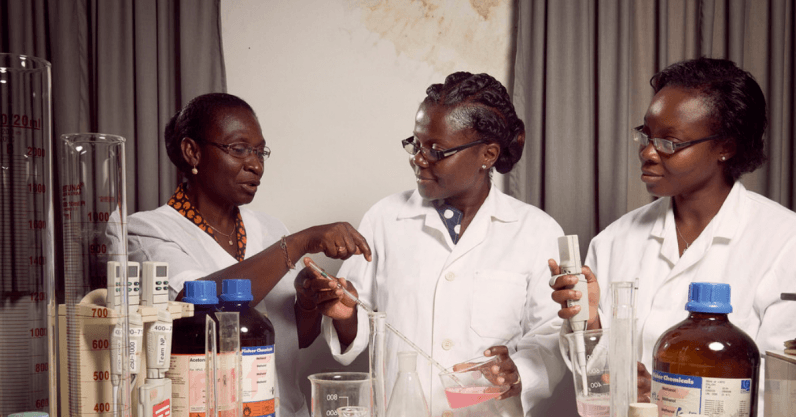 The view that women are failing at science is commonly held, but evidence shows that, across the world, it’s science that’s failing women. Action must be taken to ensure that female researchers are treated fairly, recognized for their work, and promoted when they’ve earned it. This article is republished from The Conversation by Lorena Rivera León, Economist and Research Fellow, United Nations University under a Creative Commons license. Read the original article.